The Workers' Compensation Institute (WCI) will host the 4th annual WCI Give Kids the World Dinner at the Orlando World Marriott on August 5th. 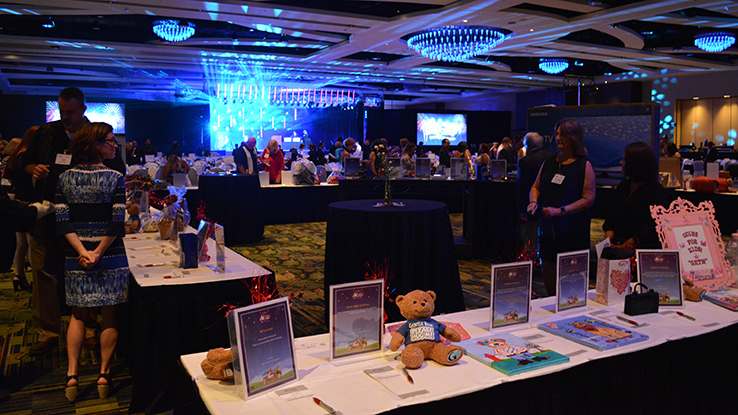 The silent auction at last year's WCI Give Kids the World Dinner at the Orlando (Fla.) World Marriott. The Workers’ Compensation Institute (WCI) will host its 4th annual WCI Give Kids the World benefit gala on Aug. 5, 2017 at 6 p.m. at the Orlando (Fla.) World Marriott.